This month, we have plenty of exciting updates for our O365 users! First up, a simple way to manually log emails to Salesforce. Then, we have three updates that will make Campaigns even more user-friendly. This update allows you to manually log all emails to Salesforce, inbound and outbound. In these cases (and others), it’s helpful to have the option to retroactively sync, in order to ensure that Salesforce is a complete record of email activity and to maintain the data integrity of Salesforce. From here, you can edit and save the task to Salesforce. 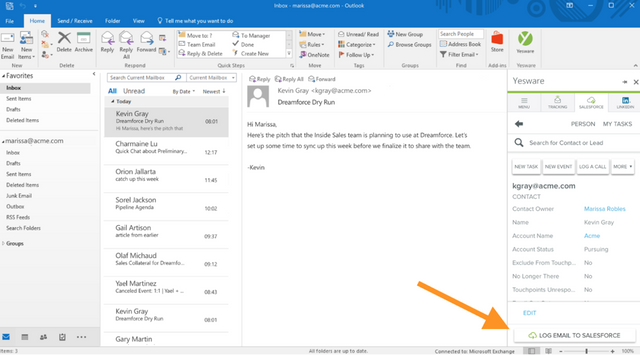 We will only show the Log Email to Salesforce button once to ensure that you don’t log multiple times. Previously, when using the Campaigns search bar, you were only able to see matching Recipients. With this update, you’ll be able to search and see both matching Campaigns and Recipients. This is helpful if you have a lot of Campaigns and you’d like to search for the right Campaign with ease. If there are no matching results, we’ll let you know. 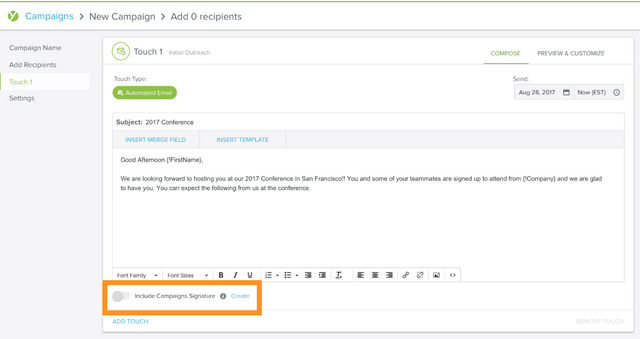 Previously, you needed to manually add a signature to any Campaigns automated email touches (by using a Template, for example). Now, you can create a signature to use across O365 Campaigns. 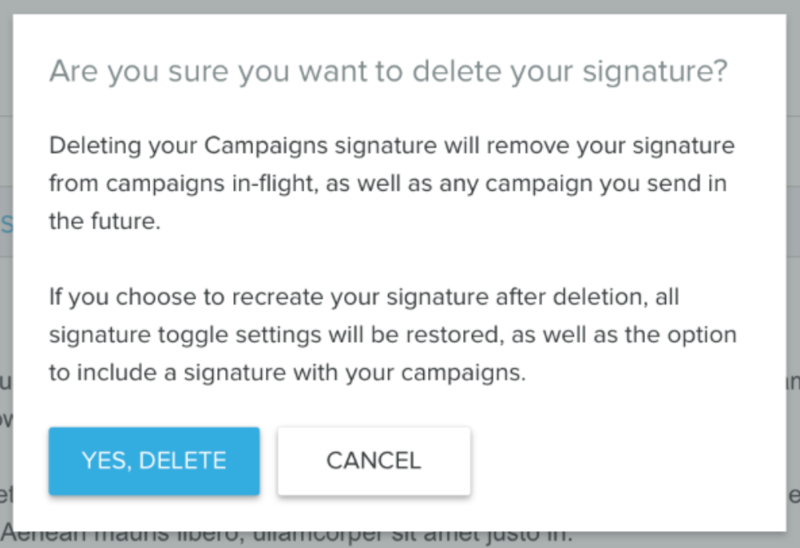 After creating your signature, Include Campaigns Signature will default to being ON for all automated email touches of the current campaign. If you have any questions, please reach out to our amazing Support Team (support@yesware.com). And stay tuned for more updates next month!